As one of the world’s most reputable nightlife venues, Space Miami’s résumé of electronic music accomplishments can match or exceed any venue around the globe. On New Year’s Eve, Loco Dice brought his unabashed brand of techno to Miami and was added to the club’s history books. A 24 hour set from the German techno stalwart was the culprit of the record breaking feat, even forcing the club to offer free entry to accommodate the hours in which it was left open. 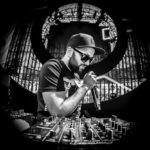 Another unique accomplishment for Loco Dice, the marathon DJ run caps off an incredible year that has catapulted himself into 2015. We look back at Loco Dice, Magda, Richie Hawtin, and Dubfire’s Essential Mix. Loco Dice steps outside of techno box for Defected In The House.